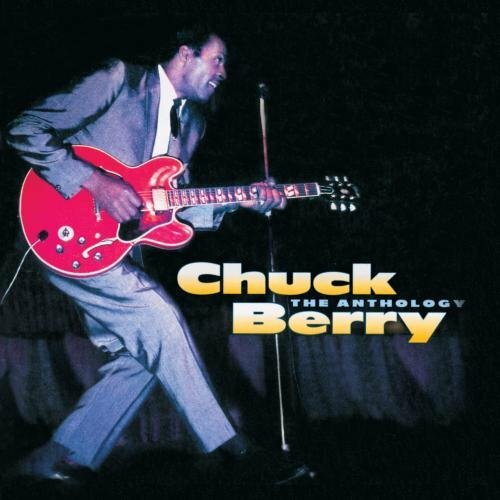 American Wolf: The Essential Chuck Berry. 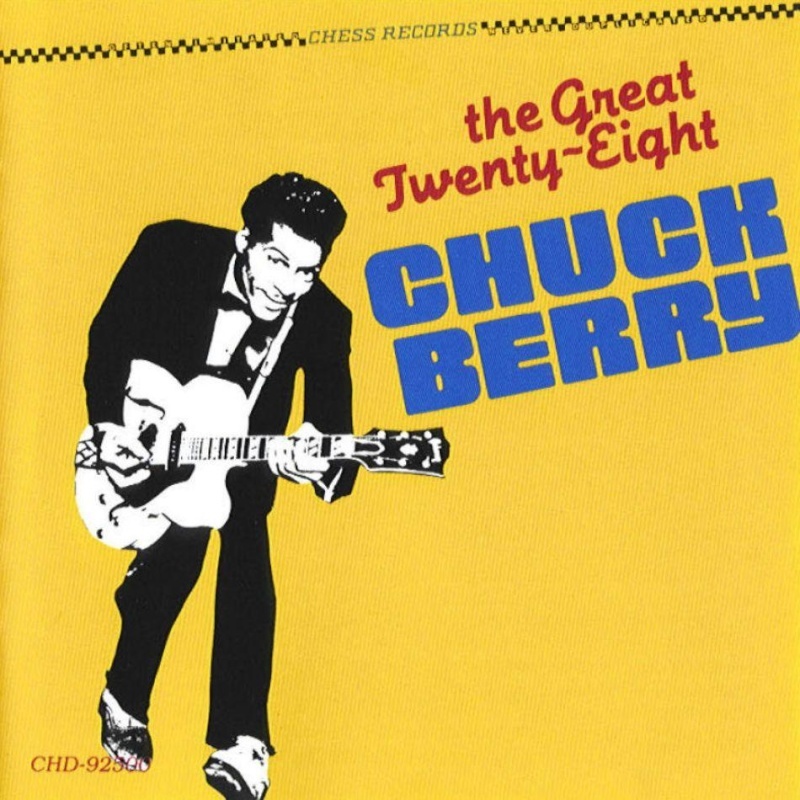 There have been literally hundreds of Chuck Berry collections over the years. To try & narrow his music down to the definitive canon, I investigated what I consider to be the 10 standard anthologies. What follows is a rating (on a five-star scale) & brief review of each, followed by the songs that appear most frequently on all of them. Many of these collections are out-of-print, but with the comeback of vinyl & the back catalog of iTunes, they may be easier to encounter than one might think. Because, like the man said, "You gotta hear something that's really hot." Chuck Berry Twist was released by Chess Records while Berry was in jail, in a brazen attempt to get some product going for their artist as well as cash in on the omnipresent twist craze. It was the first anthology of his music, & as some like to tell it, the best, period. Rock criticism's old guard have paid it particular tribute, with Greil Marcus listing it in his classic rock discography in the back of Stranded and Robert Christgau once listing it as the fourth greatest record ever. As a listening experience, it simply rocks, but to my modern ears, it is lacking for omitting "Too Much Monkey Business" & "Brown-Eyed Handsome Man" in favor of lighter fare like "Oh Baby Doll" & "Come On." However, the running order more than makes up for this; you'll be hard-pressed to find a better Side 1 opener than "Maybellene," a better Side 1 closer than "Reelin' & Rockin'," a better Side 2 opener than "School Day," & a better Side 2 closer than "Back In The U.S.A." All of which makes it seminal collection--no wonder it's still available on iTunes. 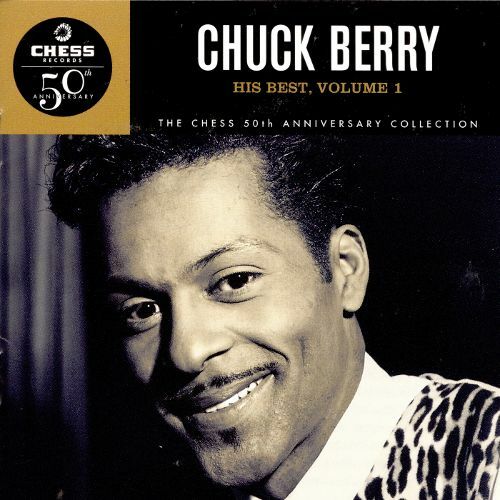 Chuck Berry's Greatest Hits came along two years after Chuck Berry Twist, but apparently too early in the year to catch his massive hit, "No Particular Place To Go." Featuring 12 cuts to Twist's 14, it cut some tunes to make room for the previously-M.I.A. "Too Much Monkey Business" & "Brown-Eyed Handsome Man," as well as the classic "Nadine" & the big-hit-by-that-point (thanks to Johnny Rivers) "Memphis." Still, the running order felt top-heavy & clunky after the expert flow of Twist, diminishing the effect of what could have been a smoother, streamlined set. All of this made it a perfectly fine collection, but not the phenomenon that Chuck Berry deserved. Luckily, better ones would come along. 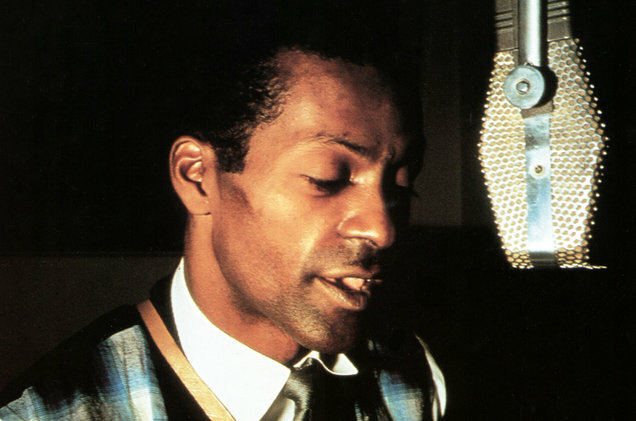 Chuck Berry's Golden Decade was apparently conceived as the one-stop shop of the vinyl era. 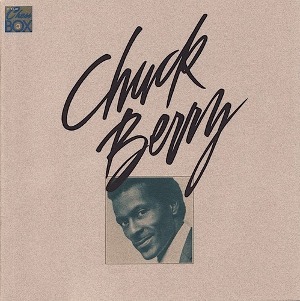 In 1967, Berry had left Chess Records for Mercury, & the latter label quickly tried to cash in on their new acquisition by issuing an LP of re-recorded versions of hits masquerading as the originals under the deceptive title Chuck Berry's Golden Hits; the fact it remained in print well into the CD age just shows the ruthlessness of the music industry. Mercury's greed had one good result, however--it forced Chess Records' hand to issue Chuck Berry's Golden Decade & gave him his first substantial anthology. (Mercury subsidiary Smash Records pulled the same trick with Jerry Lee Lewis a few years earlier; after issuing the re-recorded Golden Hits Of Jerry Lee Lewis, Sun Records responded with their first Lewis collection, Original Golden Hits, but I digress.) Golden Decade featured 24 songs over two LPs & remained a staple of essential rock LP lists well into the 1970s. At first glance, it does its job, but then one look at the Volume 2 (1973) & Volume 3 (1974) that were to follow in the next decade, some glaring omissions can be found. For starters, two of Berry's best songs, "You Never Can Tell" & "Promised Land," are missing (although they all but make the second volume almost worth getting if you already have the first). But then again, so are "Carol," "Let It Rock," "Little Queenie," & "Come On." & what's taking these songs' places on Volume 1? Stuff like "Deep Feeling," "Too Pooped To Pop," & "Anthony Boy"--nothing detrimental, but also nothing that should make it into the first 24 classics over the songs that landed on Volume 2. All & all, a missed opportunity--no wonder it's long out-of-print. 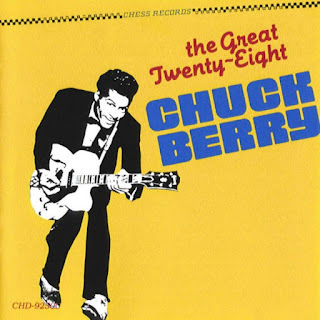 The Great Twenty-Eight has been making best-of rock lists in the obligatory Chuck Berry slot, at least since it was issued on CD in the '80s on a single disc. 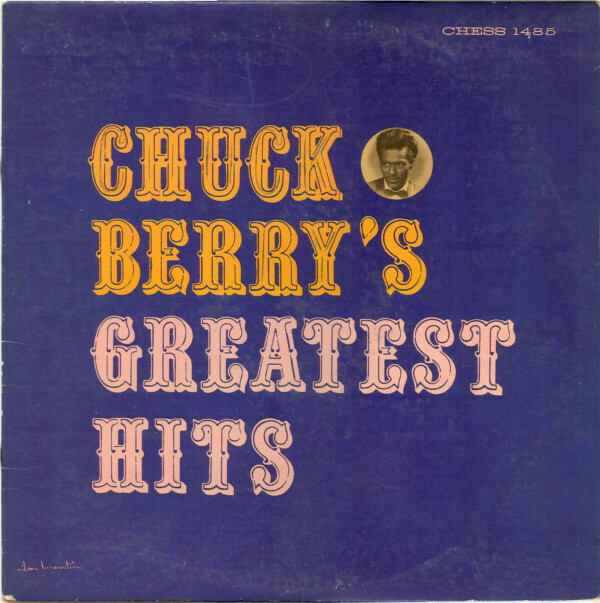 For much of the initial CD era, it was the disc to pick, especially since most stores only ever stocked the dreadful Mercury 1967 album Chuck Berry's Golden Hits of re-recordings. The Great Twenty-Eight came at a higher price point, but it was the greatest collection around; even after it lapsed in print by the late-'90s, it's continued to pop up on lists like Rolling Stone's original 500 Greatest Albums Of All Time (#21), TIME's Albums Of The Century & Entertainment Weekly's 100 Greatest Albums (the latter all the more astounding since it includes almost entirely studio albums, as opposed to greatest-hits collections). & yet...I have always held a grudge against it for omitting two of Berry's stone-cold (albeit slightly later-period) classics: "You Never Can Tell" & "Promised Land." This is especially since both songs fit on a single CD along with the other 28 tracks. Why not put them on as bonus tracks, like The Beach Boys' Endless Summer did with "Good Vibrations"? The fact that "I Want To Be Your Driver," which was never even issued a single made the cut but these other two didn't only adds to the frustration. 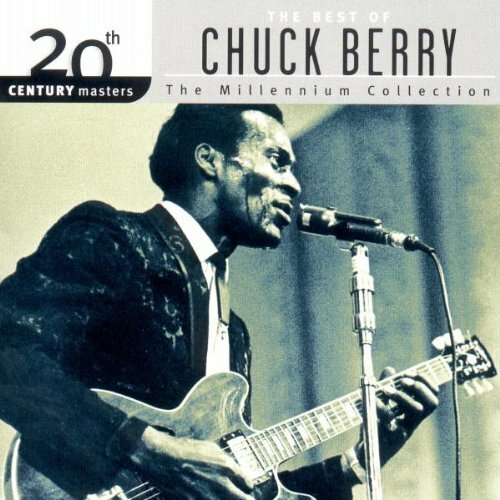 However, if you can overlook these two songs, this is the phenomenal compilation that Chuck Berry always deserved. The running order is flawless--chronological (by recording), mostly--& it is little wonder that it is the default favorite of fans & critics all around the world. The Chess Box arrived in the late '80s with the first wave of CD boxed sets, along with other "Chess Box" masterpiece compilations of Berry label-mates like Bo Diddley, Muddy Waters, & Howlin' Wolf. There has probably never been a better series of boxed sets in rock history. It also shocks me to write this, but The Chess Box is also the only collection TO THIS DAY that includes every one of Chuck Berry's US & UK charting hits. There have only ever been 33 of them. Sure, that's a bit too many for a single-disc, but surely with the double-disc sets, they must've thrown them all in right? Nope. Granted, some of his most classic standards like "You Can't Catch Me," "Brown-Eyed Handsome Man," & "I'm Talking About You" never charted while non-essential tunes like "Little Marie" & "Dear Dad" did, but once you're past the length of a single disc, you think it would be second nature to put them all together. Well, the only where this was ever done is The Chess Box. But it also has so much more: Deep cuts, jazz covers, & instrumentals; the only thing missing is the Mercury recordings from the mid-to-late-'60s (for obvious reasons), which only yielded two near-classics (at least in the relative world of Chuck Berry): "Club Nitty Gritty" & "Back To Memphis" (neither of which charted). Otherwise, Chess has it all. 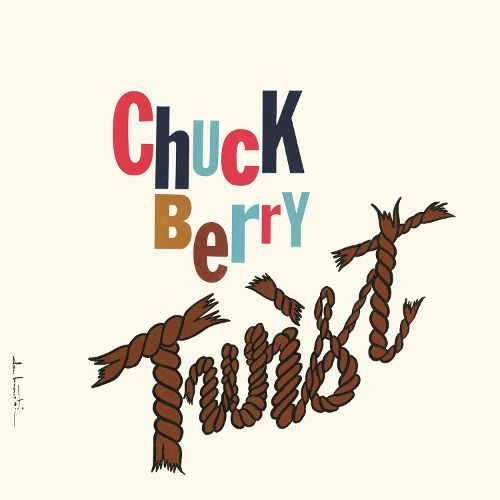 Where other Berry albums are a cursory glance at the hits, this remains the full portrait of an American icon. Even though--or perhaps because--it contains "My Ding-A-Ling." His Best, Volume 1 & Volume 2 are the result of Chess Records' 50th Anniversary, where they issued (mostly) one-disc, 20-song summaries of their biggest names: Bo Diddley, Howlin' Wolf, Little Walter, Sonny Boy Williamson, & others. Of all the artists on their roster, only two were granted two-volume "His Best" sets: One was Muddy Waters. & the other was Chuck Berry. The result is a cross between The Great Twenty-Eight & The Chess Box, but lacks both the punch of the former & the depth of the latter. It misses the Top 10 R&B hit "No Money Down" as well as the fine "Run Rudolph Run" Christmas song, while including stuff like "Anthony Boy" & "Jo Jo Gunne." The second disc does a fine enough job running through the latter years, taking us up to "No Particular Place To Go" before soon dropping us off with "My Ding-A-Ling," as most modern sets would do. But in the end, it is the split nature of His Best that ultimately ruins it. Unlike an act like The Beatles, Berry's hits came very early on & there is no reason to buy Volume 2 unless you already owned Volume 1. Did Chess Records think anyone was gonna just get the volume with "Sweet Little Rock & Roller" & "Come On" at the expense of the one with "Johnny B. Goode" & "Maybellene"? Perhaps that's why they were issued a year apart. The Anthology/Gold picks up the mantle from His Best, adds ten tracks for a cool 50, & sells it in a single two-disc package. Of the 40 tracks of His Best, only one fails to make the cut to Anthology, the less-than-stellar (but still charting) "Anthony Boy," which, while far from essential, is at least as good as "Jo Jo Gunne" & a few others that DID make the cut. 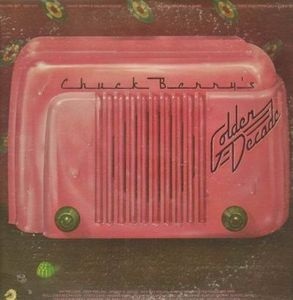 The eleven additional tracks, however, do a lot to fill out the story: Among them, "No Money Down" is an oft-overlooked Top 10 R&B hit that finds the rock sound still coalescing from the blues; "Guitar Boogie" is the blueprint for Jeff Beck's "Beck's Boogie" with The Yardbirds; "House Of Blue Lights" gives a taste of Berry's classic R&B covers; & "Dear Dad" & "Bio" help to fill out the picture of his latter days at Chess. Any quibbles have to do more with what isn't here than what is--with the length of CDs, a few more tracks could have easily fit, so why not include "Anthony Boy," plus "Run Rudolph Run," "Merry Christmas Baby," & "Little Marie," which would have covered all of his charting hits, as well as all of his solo A-sides from 1955 to 1965? But in the end, these are quibbles & proof of the set's worthiness is that when Rolling Stone updated its 500 Greatest Albums list, they included this in the place of The Great Twenty Eight, because at that point the latter had gone out-of-print. & to this day, Anthology remains the best full-scope collection to get--although you now have to do it in the gaudily-repacked Gold edition. The Best Of Chuck Berry (20th Century Masters) & Icon are lumped together because they are nearly-identical sets that conceived of & made for the budget racks for those people who need some Chuck in their lives but can't bring themselves to cough up more than $4.99 to do so. In this regard, they do their jobs fine; The Best Of contains all of his Top 20 US Pop hits in 11 tracks; Icon includes these exact 11 tracks & adds a 12th, the #23 hit "Nadine," which now means it includes all of his Top 25 US Pop hits. There's nothing wrong with either, although it is a bit depressing to see "My Ding-A-Ling" get a slot over smaller but better hits like "Thirty Days," "You Can't Catch Me," "Memphis," "Almost Grown," "Back In The U.S.A.," "Promised Land," or about a half dozen others (even if "My Ding-A-Ling" is his only #1 Pop hit). Again, there's nothing wrong with these sets, but if anyone is worth shelling out a few more bucks for, it's Chuck Berry. The Definitive Collection seems to have come about from when the Universal Music conglomerate were issuing their Definitive Collection series & realized that The Great Twenty-Eight had gone out-of-print. The solution? This disc, which they might as well have named The Definitive Thirty. A whopping 27 of the 28 tracks of The Great Twenty-Eight make the cut, in nearly the exact running order, with only "Bye Bye Johnny" cut (even though it could have been included as a 31st track). Rounding out the set is the criminally-absent "You Never Can Tell" & "Promised Land" (oddly coming before "No Particular Place To Go," since the latter was the lead single off of the album that held all three), & the infamous "My Ding-A-Ling," in the live single edit. Thus, for the first time, all of Berry's Top 25 US Pop hits were gathered in a single place on a single CD (since the above-discussed Icon wasn't released until 2011). While The Great Twenty-Eight is the sentimental classic, this is the pragmatic choice of the modern age, if only because it includes "You Never Can Tell" & "Promised Land." &, oh yeah, his only #1 hit. 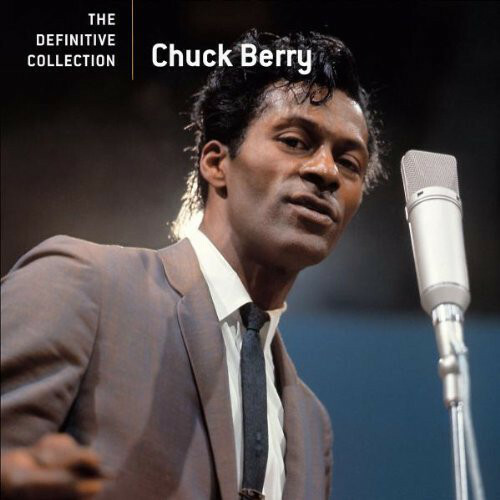 Collectively, these 10 anthologies collective feature over 75 different Chuck Berry songs. I polled them all & found that of these, there are 32 songs that appear on 4 anthologies or more. These I consider to be the Chuck Berry canon. 21. Back In The U.S.A. These 32 songs run exactly 82 minutes, so if you're making a playlist, you're fine, but if you're burning a single disc, you need to kick one or two off. 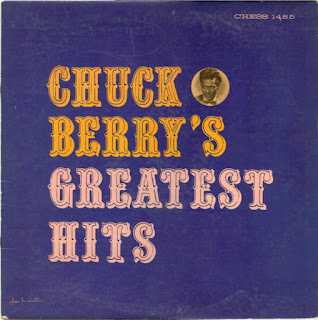 My vote would be for "Too Pooped To Pop," in part because it's really, really dumb, but more expressly, it is the only song on the list not written by Chuck Berry. For all that has been said about Chuck Berry's pioneer sound & guitar playing, it is easy to forget that he was rock's first great singer-songwriter, a feat that would go unrivaled until Bob Dylan came along in the 1960s. But, of course, if you want to keep it in Berry's "Golden Decade" of 1955-1965 & boot off "My Ding-A-Ling," I wouldn't hold it against you. In fact, I might even encourage it. So for those keeping score, 6 songs appear on all 10 collections: "Maybellene," Roll Over Beethoven," "School Days," Rock & Roll Music," "Sweet Little Sixteen," & "Johnny B. Goode." These are the core of the Chuck Berry Canon & should be considered essential rock & roll listening alongside the likes of Sgt. Pepper, Highway 61 Revisited, & Exile On Main Street--or more tellingly, Elvis's Sun & early RCA sides, Jerry Lee Lewis's early Sun sides, & Little Richard's records for Specialty. Long live rock & roll.